This year for our Orchids Galore exhibition at Lewis Ginter Botanical Garden, we are focusing on a rainbow of colors. The exhibition opens on February 14th, so I won't give away all of the secrets just yet, but one of the features is a series of green walls. 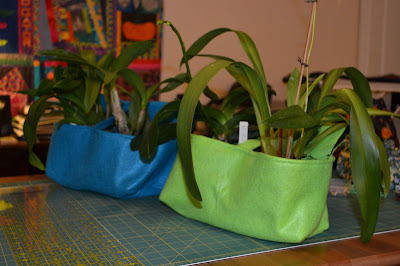 I was inspired by Woolly Pockets which are fabric pocket planters that hang on the wall. 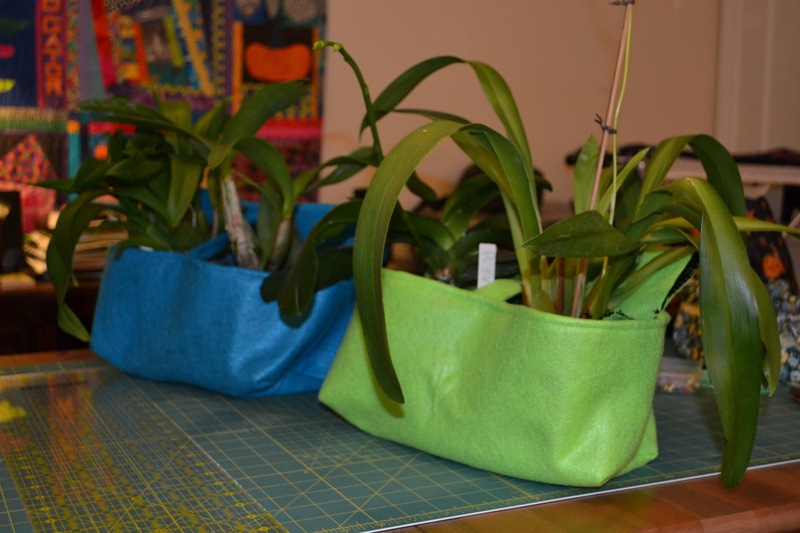 I thought this would work great for orchids and since felt is available in many bright colors, the containers could help to drive the rainbow theme. 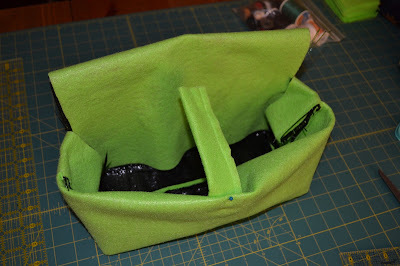 I'm constructing a series of pockets that will hang on bamboo rods against a free standing plywood backboard. 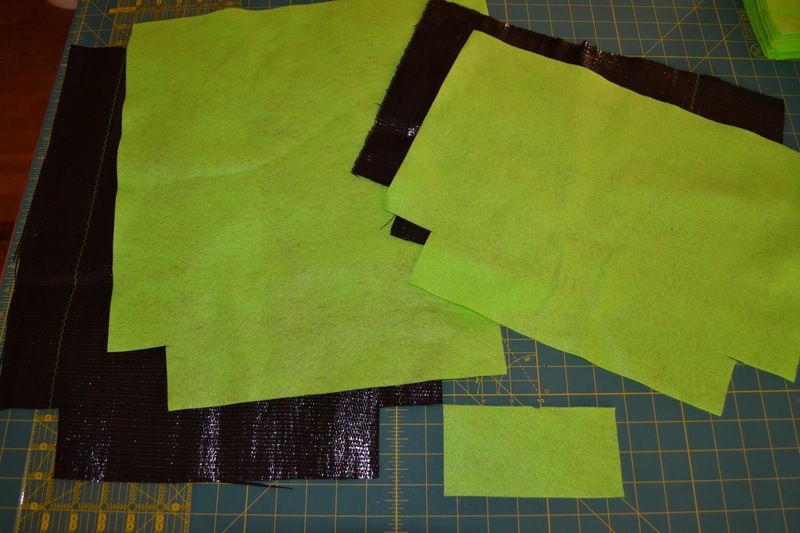 Each board will have 18 pockets, so I have to make 72 of these pockets... I didn't think about that when I came up with this idea. I'd better get started sewing! Below are my instructions. 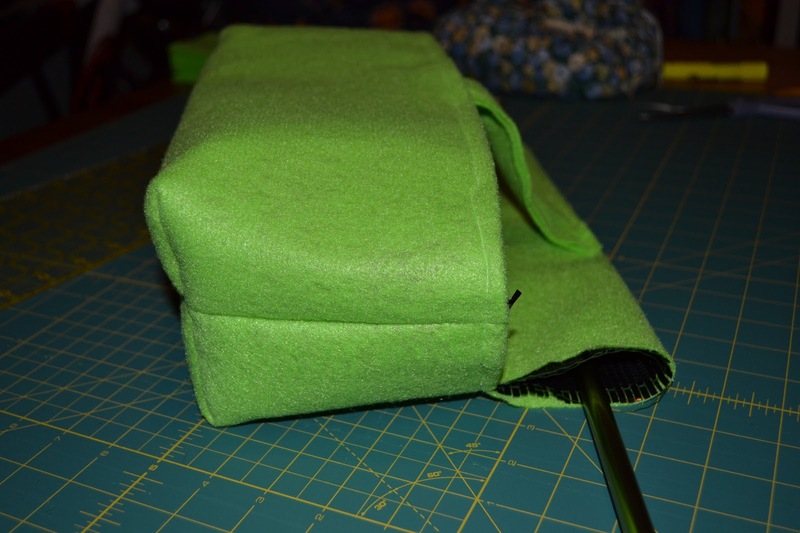 The original Woolly Pockets have grommets so they can hang on nails in the wall. This pattern can easily be adapted to include those if a rod is inconvenient. 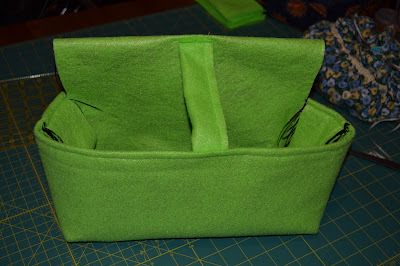 I lined the pockets with ground cloth to give it a little stability that would be waterproof. I plan to cut a couple of slits in the bottom for drainage. The nice thing about felt is that you don't have to finish the edges. I think this is the first project that I have done that combines the "sewn" with the "grown" from my blog's name! Cut a 2 ¼” square from each bottom corner of the felt and ground cloth rectangles (along the 16 ½” edge). 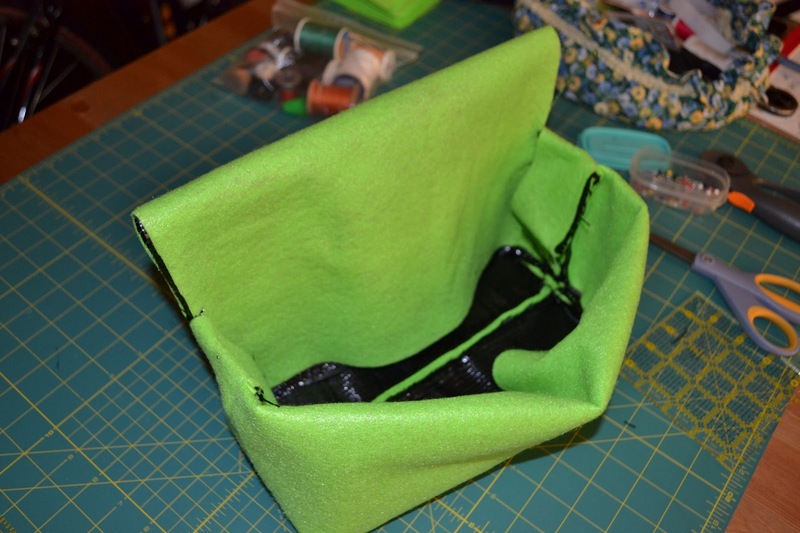 Layer the pieces in this order- 16 ½” x 18 ¼” ground cloth, 16 ½” x 18 ¼” felt, 16 ½” x 12 ¼” felt, 16 ½” x 12 ¼” ground cloth. 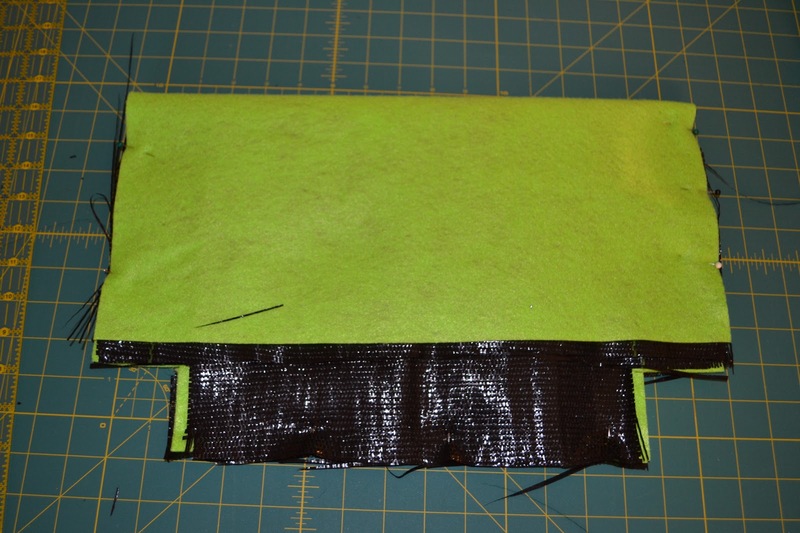 Fold the 16 ½” x 12 ¼” felt and ground cloth over so the final size from the notch to the fold is 5”, pin in place. 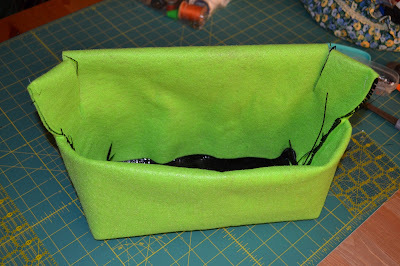 Flip the stack over and fold the 16 ½” x 18 ¼” felt and ground cloth over so the final size from the notch to the fold is 8”, pin in place. 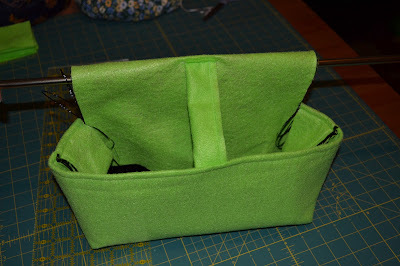 Sew along the bottom and up the sides- do not sew the 2 ¼” square notch. To box bottom corners, match each side seam of the notch to each bottom seam, and stitch across the resulting straight edge. Turn pocket right side out and push out corners. The pocket now has one side that is longer than the other. 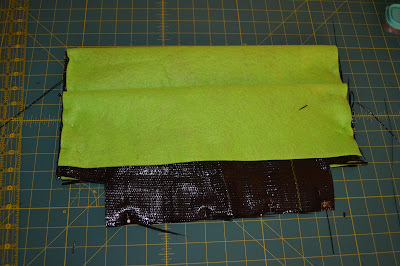 Along the long side, measure 2 ¼” in from each side seam and cut a slit 3” deep. Fold resulting flap down and pin. Fold the 3” x 6” felt strip in half length-wise. 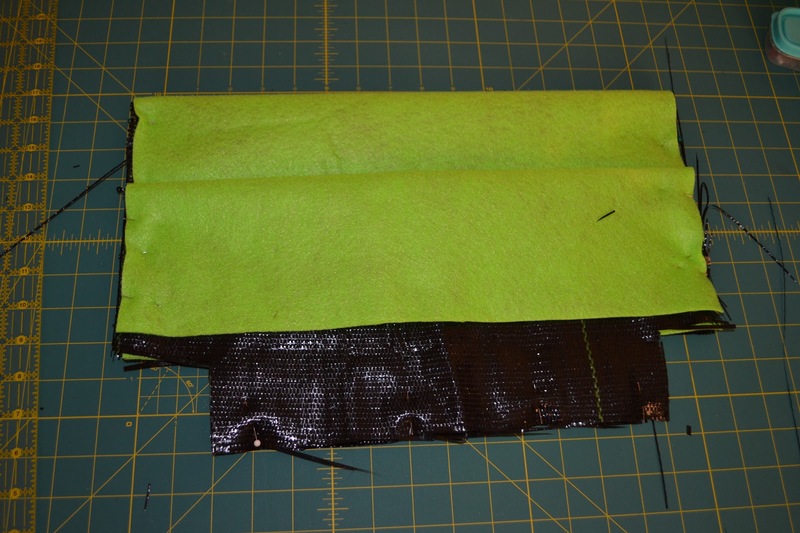 Sew long edge to create a 1 ½” x 6” strip. Pin the strip to the inside center of the front pocket. 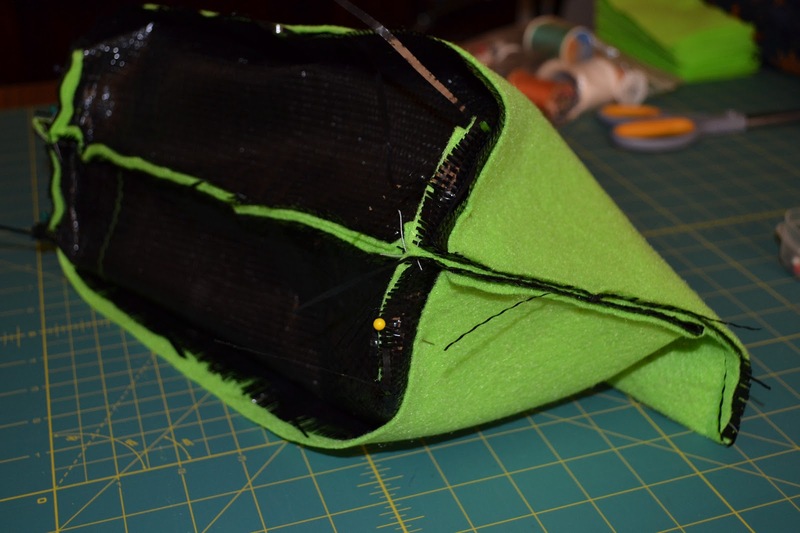 Sew a top stitch ¼” along the lip of the front of the pocket, catching the strip in the stitching. Pin the other end of the strip to the center of the inside face of the taller side of the pocket and sew. The open edges that resulted from the slit being cut should be left open. The bamboo hanging rod will be slid through the opening (the photos below are shown with a metal rod).